Big tablet has spotted in AnTuTu benchmark website, the tablet is 12.2-inch of Samsung Galaxy Note model. The performance and specs leak shows Samsung is planning to launch another Galaxy Note tablet. 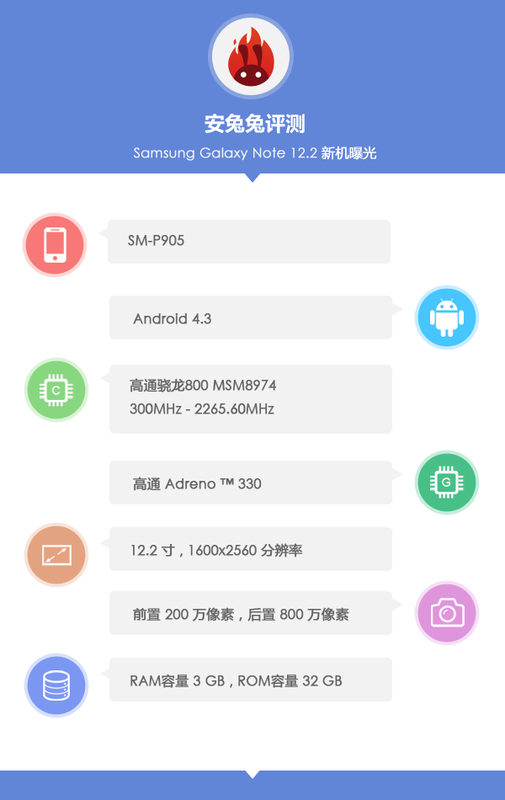 According to AnTuTu website, the Samsung Galaxy Note 12.2 tablet will be powered by a Snapdragon 800 MSM8947 Quad-Core processor clocked at 2.3 GHz with 3 GB of RAM. The model feature a 12.2-inch display with 2560 x 1600 pixels resolution. The AnTuTu claims that the Note 12.2 tablet has a 8-MP ( Megapixel ) rear camera and a 2-MP of front facing camera. The big tablet runs on latest Android 4.3 Jelly Bean operating system and a 32 GB of internal storage capacity, but no word on microSD card. AnTuTu compared Galaxy Note 12.2 with Galaxy Note 10.1 tablet, where Note 12.2 wins in RAM speed, 3D graphics, Android version. 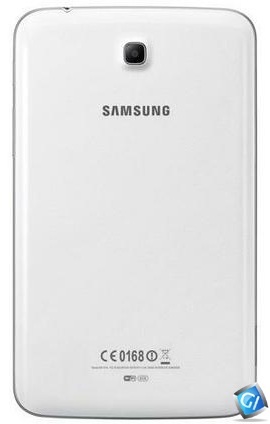 The Samsung Galaxy Note 12.2 tablet model number is SM-P900. The model usually comes with S-Pen, Wi-Fi and other connectivity options. We don't have official releasing info yet, but we can assume to be annouce in next few weeks. 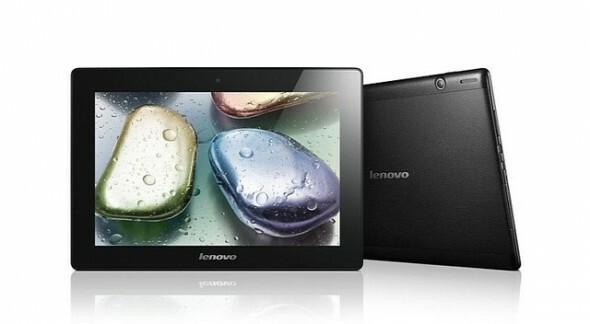 Lenovo announced its Affordable two new Yoga series tablet called Yoga Tablet 8 and Yoga Tablet 10. Both tablets comes with very big battery capacity as Yoga tablet 8 has a 6000 mAh and tablet 10 has a 9000 mAh battery which will last in-between 16 to 18 hours. Both Yoga tablet 8 and 10 are solid, slim body and standard cyclindrical batteries. Yoga tablet 8 measures at 8.4 x 5.7 x 0.12 inches and Yoga tablet 10 measures at 10.3 x 7.1 x 0.12 inches. Both tablet has screen resolution of 1280 x 800 pixels. According to specs, Both tablets are powered by a MediaTek Cortex-A7 Quad-Core processor clock speed at 1.2 GHz with 1 GB of RAM. Tablets has a 16 GB of on-board memory and can be expand up to 64 GB via microSD card slot. 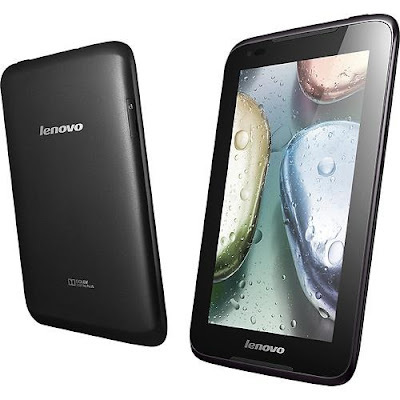 Both Lenovo tablets offers a 5-MP ( Megapixel ) rear camera and 1.6-MP front facing camera. Both runs on Android 4.2.2 Jelly Bean operating system. Yoga tablet 8 and 10 will cost you at an affordable price $249 and $299. 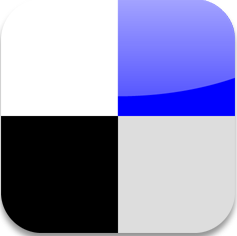 Enjoy favorite movies, surf web and more. Sero 7 Pro and Sero LT, new budgeted Android tablets have been announced by Hisense. 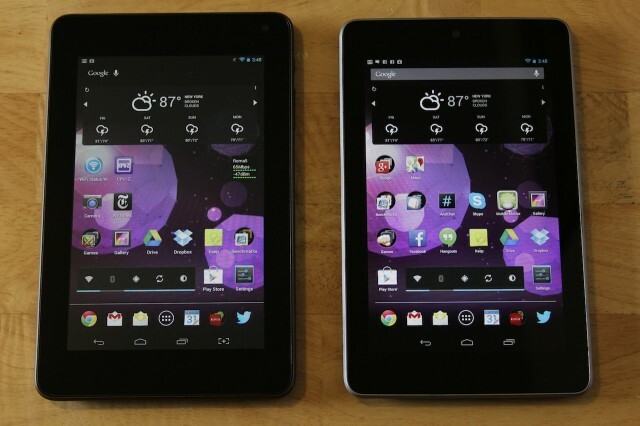 From both tablets Sero 7 Pro is more powerful, the Sero 7 looks like the Google Nexus 7. According to hardware and specifications both are different, Sero 7 Pro have a 7-inch of IPS display at 720p with resolution of 1280 x 720 pixels. Sero 7 Pro is powered with Quad Core Tegra 3 T30 1.3 GHz processor. In regards of storage capacity, Sero 7 Pro comes with 8GB of internal storage with a microSD card slot that supports up to 32GB and 1GB of RAM. Sero 7 Pro running latest version Android 4.2 Jelly Bean Operating System. For backup it have 4000mAh battery. On other hand, Sero LT tablet is a 7-inch LCD display with 1024 x 600 pixels resolution. It is powered with Dual-Core 1.6 GHz processor. Sero LT comes with 4GB of internal storage capacity with a microSD card slot. This tablet running on Android 4.1 Jelly Bean OS. It have 3400mAh battery. Sero 7 Pro and Sero LT looks great, and both tablets have valuable prices at $149 and $99. 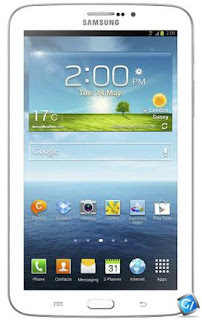 Samsung recently announced the Galaxy Tab 3 7.0. 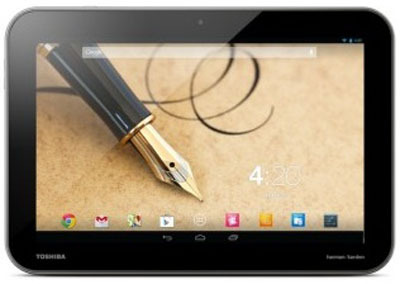 This particular tablet is the 7-inch version, which will launch in a WiFi only flavor at the beginning of May. A 3G-enabled sibling will then follow in July. The new Galaxy Tab 3 tablets in 7in, 8in and 10.1in variants to the UK next month. The Galaxy Tab brand now seems to be associated with lower end devices. The third generation of this device has a 7in screen but it's a regular LCD with a resolution of 1024x600, the same as the previous model at just 169 PPI, a 1.2GHz dual core processor and a 3 megapixel rear-facing camera.. 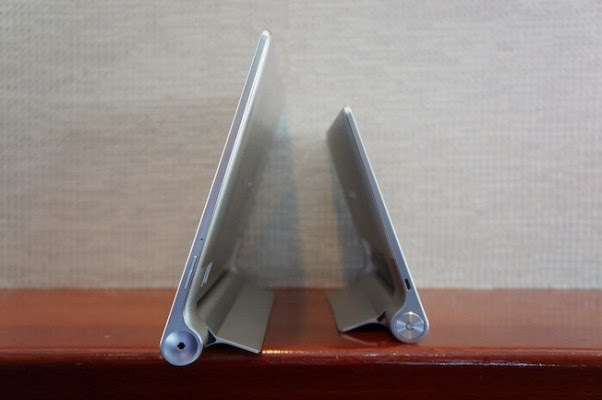 The Galaxy Tab 3 7.0 has a thinner bezel than the previous model and the look has been changed. It predictably falls in line with Samsung's latest devices like the Galaxy S4 and the Galaxy Note 8.0 — the familiar glossy plastic finish and rounded corners. 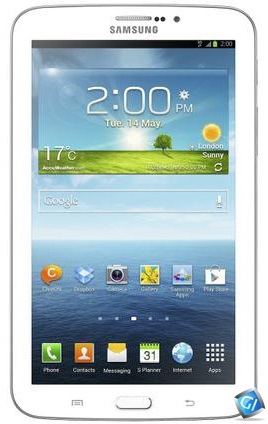 The Galaxy Tab 3 7.0 earlier reports suggested the device will run on Intel's Atom chips. It also comes in 3G or 4G, as well as 8GB of 16GB of internal storage depending on the model you choose. There's also a microSD card slot that allows you to expand the memory up to 64GB. 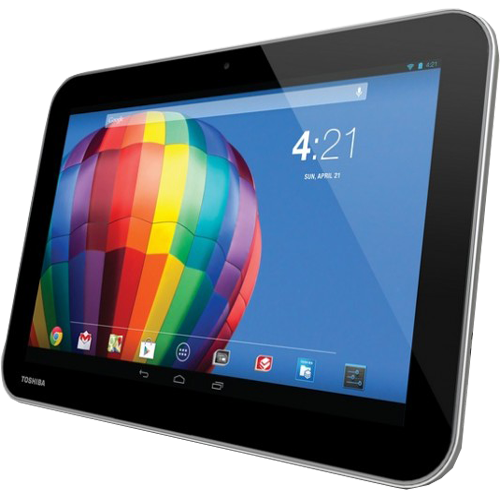 The GALAXY Tab 3 7-inch combined with the latest Android 4.1 (Jelly Bean), it allows users to share photos, videos, and life’s special moments through a few quick taps and swipes. 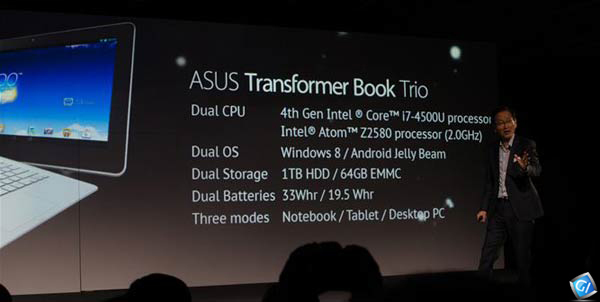 ASUS has revealed world’s first three-in-one notebook, tablet, and desktop PC a new hybrid device called Transformer Book Trio which runs both Windows 8 and Android on Intel Core i7 and Intel Atom processors respectively at Computex 2013. The Asus Transformer Book Trio can be placed into a desktop dock, or used as an Android tablet or Windows 8 laptop, switching between both OS at the touch of a button. No waiting for each different OS to boot. It features a 1,920 x 1,080 IPS 11.6-inch Android 4.2 Jelly Bean slate rocks an Intel ATOM processor running at 2.0 GHz, comes with 64GB of internal storage, 19.5Whr battery should last for around 15 hours running Android. The Asus PC dock or the keyboard unit actually got its own mainboard, a Haswell Core i7 processor, a 33Whr battery, up to 1TB of built-in storage and running Windows 8 OS. 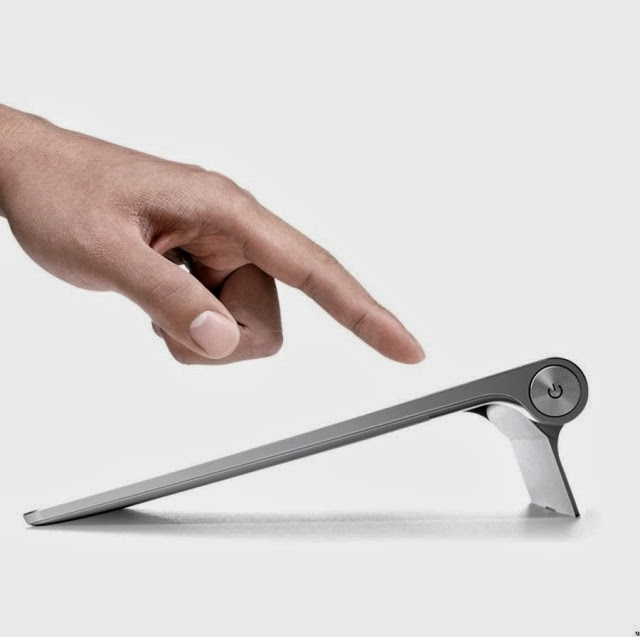 Asus also updated the Transformer Pad hybrid tablet-laptop, giving it Nvidia's latest Tegra 4 processor. The 1.9GHz chip features ARM's Cortex A15 CPU and 72-core GeForce GPU. Asus said. "Despite the different operating systems, the Transformer Book Trio has been designed to smoothly transition between modes, allowing users to sync data or continue to surf the webpage they’re on even when moving from notebook to tablet mode,"
No pricing indications by Asus but the product is confirmed to be available in Q3 this year.